When it comes to Windows 10, there are a couple of things that bug most people. The first one is the automatic updates, which you can pause. The second one is the automatic driver installation. For the most part, automatic driver installation is not a problem and works fine for a vast majority of people. In fact, for the past couple of years, other than the graphics driver, I haven't installed any driver manually. Windows 10 automatically downloaded all the relevant drivers and installed them for me. However, there might be situations where the automatic driver installation is not desired. Those situations include but not limited to buggy drivers, wrong drivers, outdated drivers, incompatible drivers, etc. In those situations, you can disable automatic driver installation on Windows 10. Here's how. There are multiple ways to disable automatic driver installation on Windows 10. All methods shown below achieve the same thing. So, follow the one you are comfortable. That being said, if you are on a Pro or Enterprise version of Windows then follow the second method. 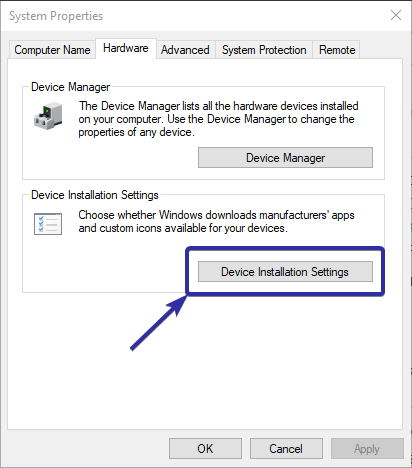 Using device installation settings is the easiest and basic way to stop Windows 10 from installing drivers automatically. The advantage of this method is that it works on Windows 7 and 8 too. Search for "Control Panel" and open it. Make sure that the View on top-right corner is set to "Small icons" or "Large icons." Find and select the "System" option. Go to the "Hardware" tab. Click on the "Device Installation Settings" button. Select the "No (your device might not work as expected)" radio option. Click on the "Save changes" button. That is it. After rebooting, Windows will no longer automatically install drivers. If the above did not work for you or you want to make sure the Windows won't override or ignore driver installation restrictions then you can use the Group Policy method. By changing a single policy, you can stop Windows from auto installing drivers. The only downside of this method is that only Pro and Enterprise users have access to Group Policy editor. If you are a Home edition user, follow the third method. i.e, registry method. Press Win + R to open Run dialog box. Type gpedit.msc and press Enter to open Group Policy. Go to the following location in the group policy editor. 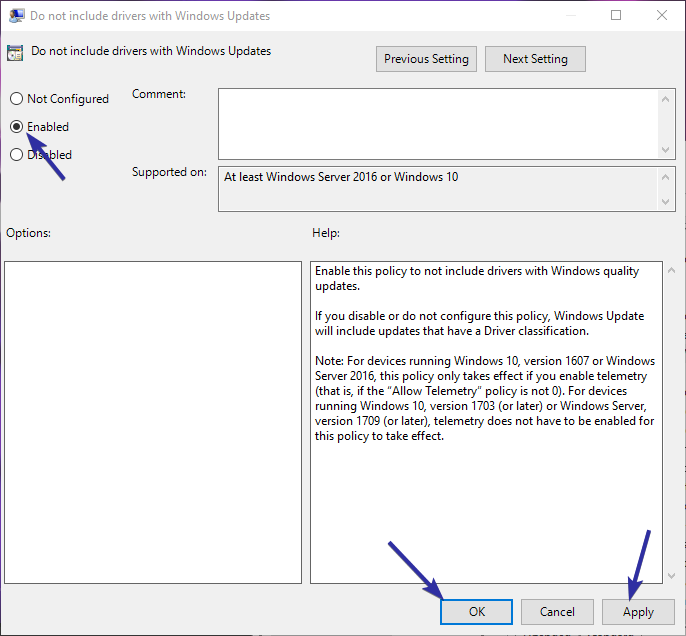 Here, find "Do not include drivers with Windows Update" policy on the right panel and double-click on it. Click on the "Ok" button to save the changes. Reboot your system and Windows will no longer download and install driver updates automatically. If you want Windows to automatically download drivers, select "Disabled" or "Not configured" option in step 5. Home users won't have access to the group policy. However, you can still disable automatic driver installation by making changes to the Windows Registry. All you have to do is create a new key and value. To make things easy for you, I've created downloadable reg files to easily enable or disable automatic driver installation. You can either download them or follow the manual approach shown below. Reg file to disable automatic driver installation. Reg file to enable automatic driver installation. After downloading the reg file, extract it to your desktop, right-click on the .reg file and select "Merge". Click on the "Yes" button in the subsequent windows. That is it. Restart your system and Windows will no longer install drivers automatically. Type regedit and press Enter to open Windows Registry. Go to the following location. Right-click on the "Windows" key and select "New -> Key". Name the key as "WindowsUpdate". Right-click on the right panel and select "New -> DWORD (32-bit) value". Name the value as "ExcludeWUDriversInQualityUpdate". Double click on the new value. Enter "1" in the value data field. Click on the "Ok" button to save changes. After the restart, Windows will not download drivers automatically. If you want to change that behavior in the future. 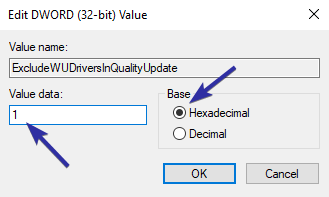 i.e, enable automatic driver installation again, either delete "ExcludeWUDriversInQualityUpdate" value or change its value data to "0" in step 9. As you can see, it is rather easy to disable automatic driver installation on Windows 10. Follow any one of the above methods and you should be good. In case you are wondering, the above settings (especially group policy settings) should stay intact even after you upgrade to another major Windows 10 version. If they are not, you can always re-configure them by following the above steps. For ease of use, bookmark this page and you can return to it and verify as and when needed. If you like this article, you might also what to check out how to disable driver signature enforcement on Windows 10 and how to disable Cortana permanently on Windows 10 to protect your privacy.